On November 4, in the Mother See of Holy Etchmiadzin, Pointifical Blessing was carried out on the occasion of the 19th anniversary of the enthronement of the Catholicos of All Armenians His Holiness Garegin II. Clergymen, state officials, benefactors from the Mother See and pilgrims led by spiritual shepherds from different dioceses participated in the ceremony. The Catholicos was also honored by various cultural figures ... not the Minister of Culture though. The Armenian Apostolic Church has been the carrier, collector and keeper of Armenian culture for centuries; when Armenia was deprived of its statehood, the church was a center of cultural development. The unique, awe-inspiring Armenian miniatures were created in the church, historical books were written and preserved in the church, the walls of the churches became part and parcel of the Armenian sculpture and architectural design ... Cultural figures have always treated the church with respect. The Minister of Culture was not present at this important event for the Church, the birthday of the Catholicos of All Armenians. First of all, we inquired from the Ministry of Culture whether the minister attended the event. They answered: no. "The minister did not receive an invitation to participate". What does this mean: doesn’t the Minister of Culture consider herself a bearer of culture? We asked this question to film director Artak Avetyan. "Let me tell you something: I’lleave te conclusions to you. I invited the Minister of Culture to the premiere of my film, "Victor Hambardzumyan", at Moscow Cinema. An official invitation has been sent. The Minister did not come without a single explanation. My friends told me that the minister was drinking coffee in the Opera café during that time. The former ministers sent a deputy or a head of the department if they did not come themselves. They were present and it felt good. In this case it was a complete demonstration of contempt which makes me feel very distressed." He noted that in this case the minister failed to perform her duty, at least she could have sent a letter. "It's up to her to come or not, but I'm feeling angry. The Minister of Culture should be active and should be present at every cultural and spiritual event. In this case it regards our Holiness, our church, we should be engaging. The head of the ministry should definitely be present. There are many people who make conclusions about the importance of the church by the presence of certain people, "said A. Avetyan. According to Ruben Babayan, the artistic director of the State Puppet Theater after H. Tumanyan, it is wrong to associate the church with culture. He also mentioned: "We are not Vatican, we are a secular country". 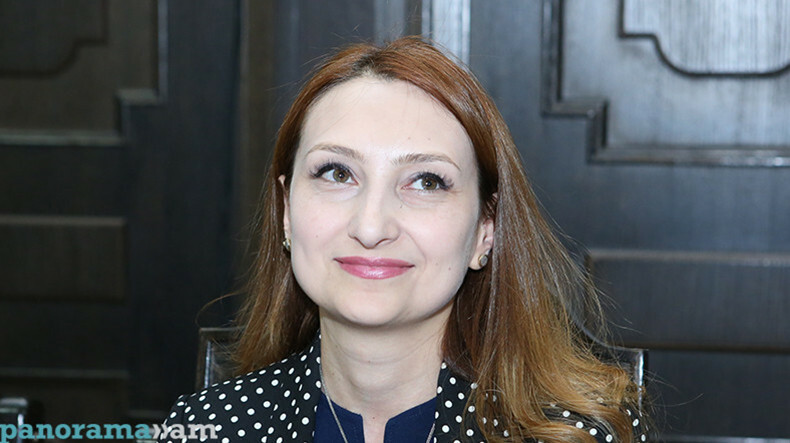 The honored painter of the Republic of Armenia Haghtanak Shahumyan said that, of course, the minister should have been present adding that she might have been away or possibly did not know about the event. "Certainly, such events need to be attended, not only by the Minister of Culture. There are different officials who should participate. The church makes a very important part of our culture, and we must keep it in the center of attention, "said H. Shahumyan.